A charming and intimate hotel in the center of Anacapri and a restaurant with pool immersed in the island's peaceful coastal countryside. This villa in Anacapri became the favorite haven of intellectuals and artists in the 20th century, who were often found conversing on the sun drenched terraces or in its fragrant gardens. 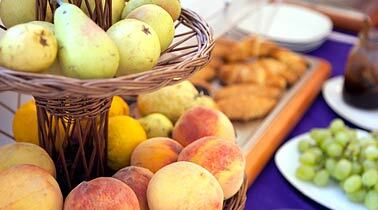 Today, Villa Ceselle is a gorgeous island boutique hotel. 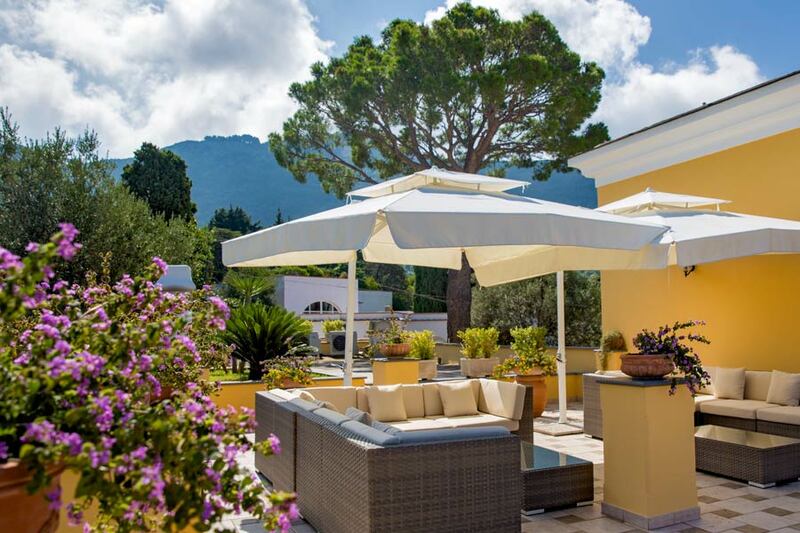 Tucked inside a garden in the most peaceful part of the Isle of Capri, Villa Ceselle is secluded from mass tourism but near the historical centre of Anacapri. 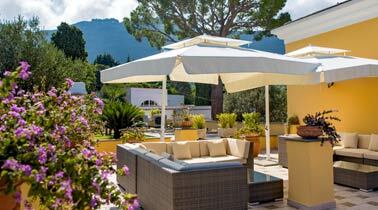 At Villa Ceselle in Anacapri, you can bask in the sun next to the hot tub or relax in the shade of the garden pergola. Want to take a dip in a pool with a view? 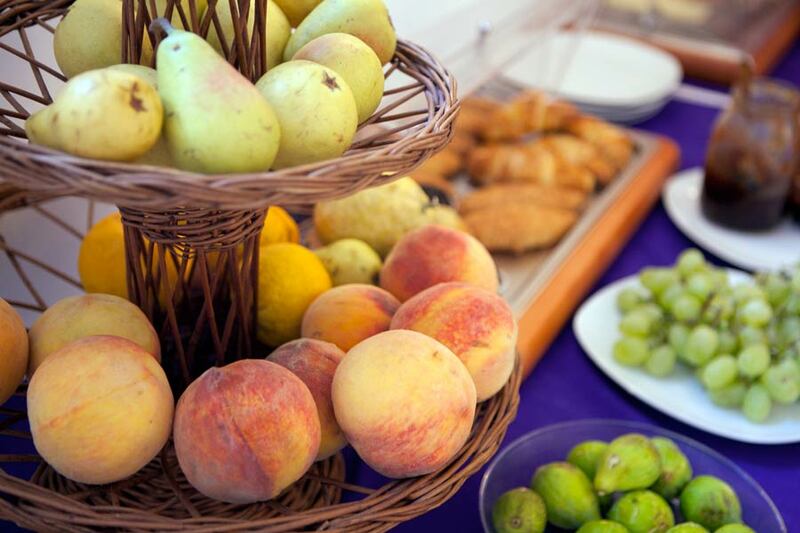 Visit the large pool and terrace at our sister hotel, Da Gelsomina, which also offers authentic island cuisine at our family-run restaurant. When available, we offer a free room upgrade...exclusively to guests who book directly through this site. For clients who book at least two nights through this website, we provide a free transfer from the port. 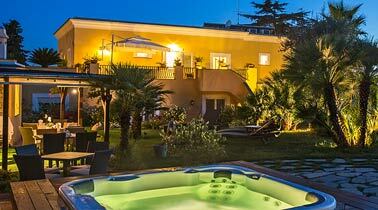 Free for guests who book through this site: use of the Da Gelsomina pool, including sun loungers and shuttle service. Choose from ten double bedrooms, two suites and an independent annex for a holiday custom designed to meet your every need. 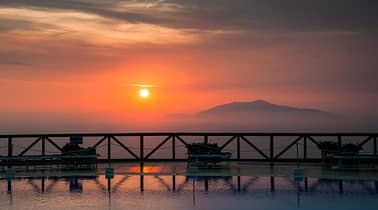 Included in the price: transfers from the port, special rates at one of the island's finest restaurants, and the use of a spectacular sea view swimming pool. The kind of stuff dream holidays are made of. 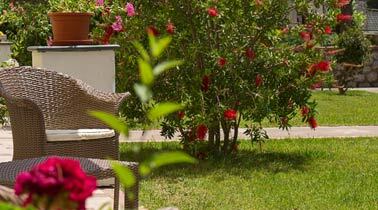 Take a holiday in a villa which, in the 1900's, was the preferred island retreat for artists and intellectuals. 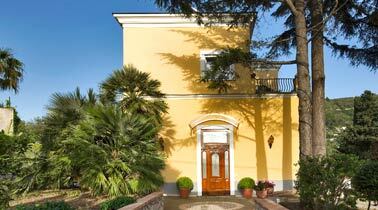 For travelers eager to experience the old world charm of Anacapri. 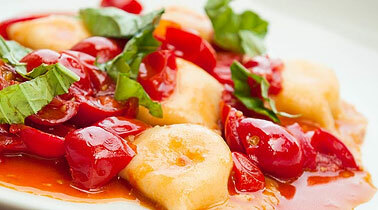 The same family which runs Villa Ceselle is the owner of Da Gelsomina, a restaurant with swimming pool in the countryside of Anacapri at the foot of Monte Solaro, in the district known as "La Migliera" just steps from the most spectacular scenic overlook on the island. 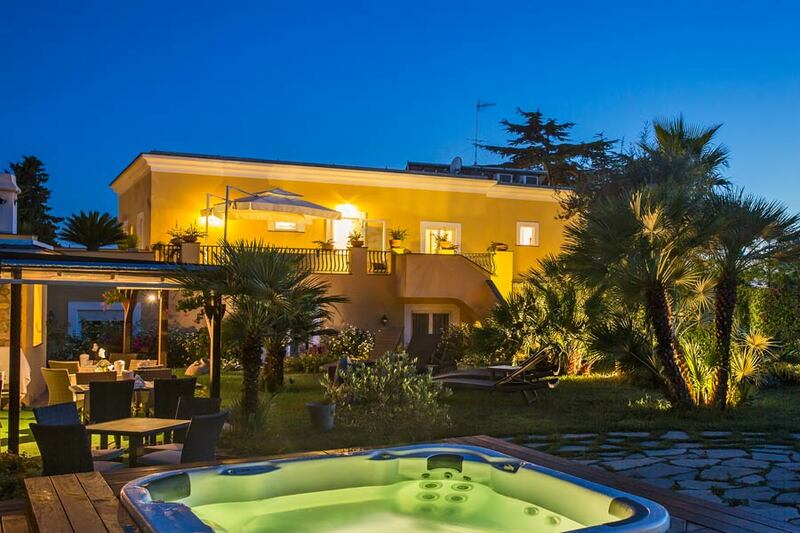 This "insider" spot is a must for guests wanting to sample Capri's authentic traditional cuisine, with the added bonus of a swimming pool overlooking the Mediterranean and the island of Ischia...all free for guests of Villa Ceselle. 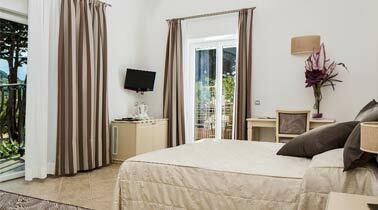 You can walk to Da Gelsomina along one of Capri's most scenic routes, or request our free transfer service. 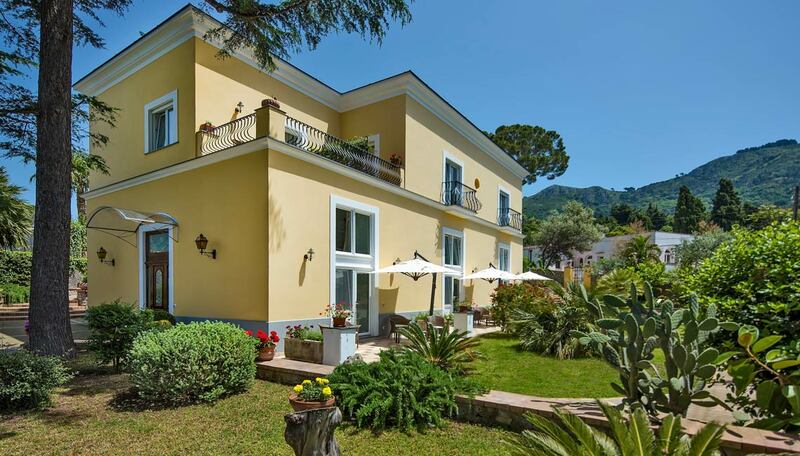 Villa Ceselle is located in a particularly quiet area of Anacapri, close to the center and yet far from the main roads. All the advantages of staying in the center of town, but with the silence and peace of the countryside. 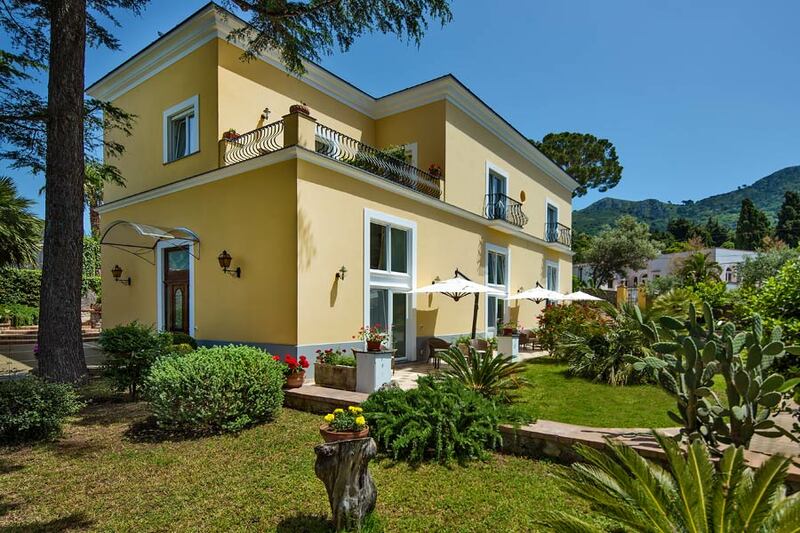 Anacapri's main square, the Church of San Michele, Alex Munthe's museum house and the chairlift to Monte Solaro are within a 10 minute walk away. Within just a 3 minute walk, you can reach the bus stop where buses depart for the center of Capri, the Blue Grotto and the lighthouse, where you'll find the only bathing establishment on the whole island from where you can admire the sunset. Both the lighthouse and the Blue Grotto can also be reached on foot along a scenic half hour walk. Book at least 2 nights and you won't have worry about how to get to Villa Ceselle from the port: just let us know which boat you are arriving on and we'll come and collect you from Marina Grande. Likewise, we'll accompany you to the port on the day of departure. Shuttle service is available from 9:00 am to 6:00 pm.